Come enjoy a soulful musical conversation by Hrushikesh and Sukrit both architects by profession, musicians by passion. Hrushikesh is a student of architecture at CEPT University and Sukrit is from Calcutta and is currently pursuing his masters in Heritage Management at Ahmedabad University. 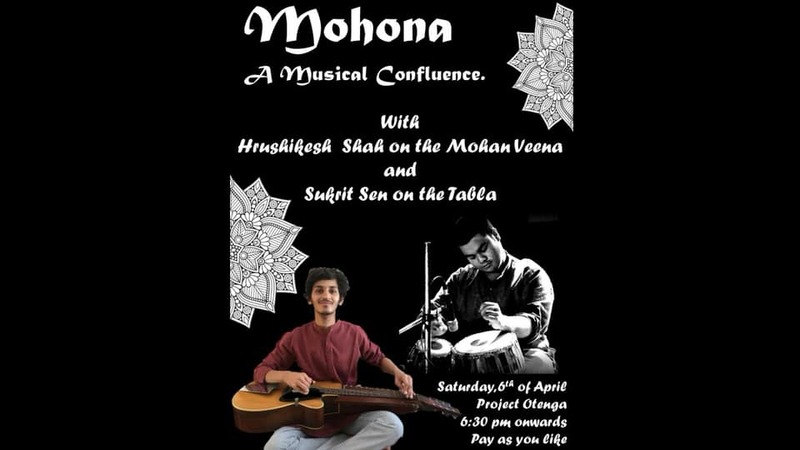 Both have been in the field of Indian Classical Music since childhood and are coming together for a performance on saturday the 6th of April at Project Otenga, 6:30pm onwards. Entry for all, pay as you wish!